Please note Hydrogen Water Event Booth at Anand Bazaar occurred in past. 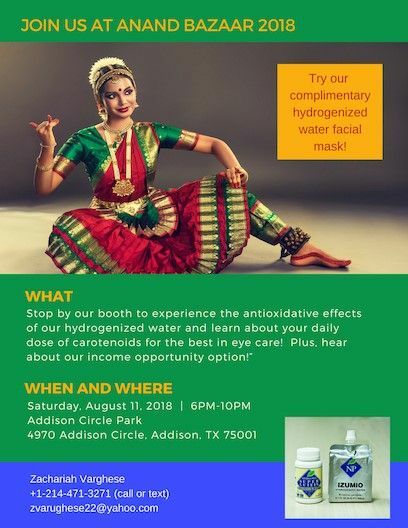 Join us at Anand Bazaar 2018 at Addison, Texas. Stop by our booth to experience the antioxidative effects of our hydrogenized water and learn about your daily dose of carotenoids for the best in eye care! Plus, hear about our income opportunity option! !